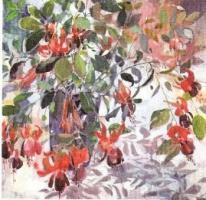 This year's artist is Susie Hunt who will paint "BOLD and BEAUTIFUL" Flowers in Watercolour. Rotary Club of Aberdeen Deeside - welcome! Please scroll/swipe down through this page to find out more about us, in addition to the pages linked in the menu, top-left. 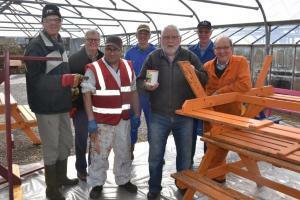 The Rotary Club of Aberdeen Deeside has supported the VSA Easter Anguston Farm project for several years. 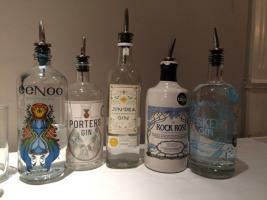 This was another chance to sample and savour five Scottish gins in a convivial atmosphere. 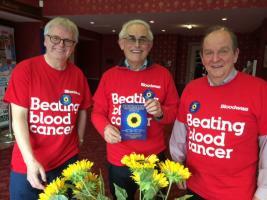 Volunteers from RCAD at the Calendar Girls performance at His Majesties Theatre Aberdeen. 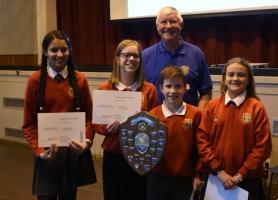 The total raised by all Rotary Clubs for the Aberdeen performances was a magnificent £7,317.11. RCAD sponsored a Cults Academy pupil for this year's Euroscola Programme. 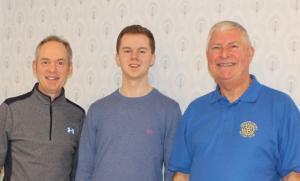 Ross Menie reported on his experience to the club on 27 March. RCAD in partnership with Rotary Clubs of Aberlour and Speyside & Kemnay and Kintore have successfully completed the refurbishment of Rubona Primary School. The final video summarising the whole project can be found here. The Rotary Club of Aberdeen Deeside has about 45 members who enjoy meeting regularly to socialise and to plan activities which raise money for local, national and international charities and good causes. The atmosphere at our meetings is relaxed and informal with weekly meetings taking the form of a meal followed by a speaker on a topic of interest. Some of our activities can be viewed by clicking on the pictures above.